With a sprawling maze of secret alleys and corner shops, Venice continues to be one of the most mysterious, and most photogenic, cities of Northern Italy. Not far from Milan is the peaceful, almost otherworldly city of Como. Speckled throughout the dramatic mountains are dozens of seemingly hidden villages. 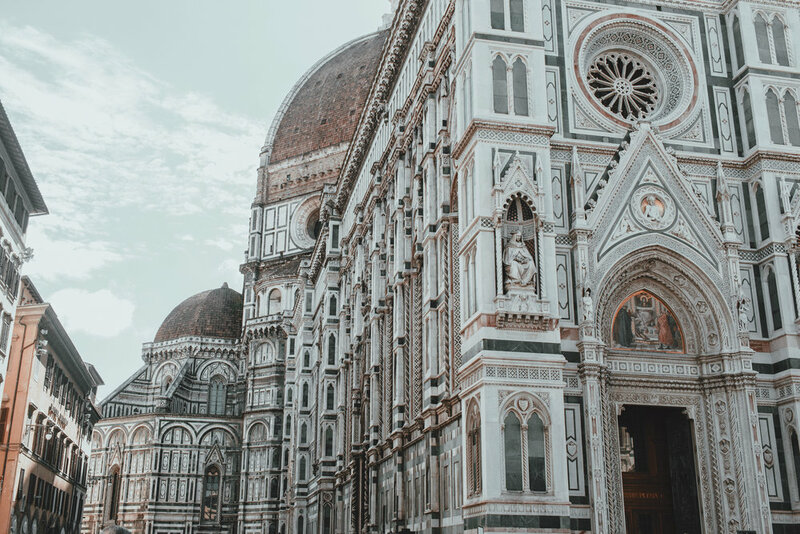 Known for its opulence, Milan houses some of the ostentatiously gorgeous gothic architecture and outrageously out-there fashion. As a center point, it cannot be missed. The heart of Italy, Rome is absolute mixture of classic, historical art meets metropolitan fashion and urban living, whether riding on the back of a classic Vespa or on foot. Venice's extremely colorful cousin, Burano is only a 45 minute ride away by water taxi and worth every minute. Residents take pride in up-keeping their vibrant home fronts. Visiting Florence can be quite like stepping back into time. This 14th century city bursting with Renaissance art and history fills each corner with beauty and life. In the center of Italy encircled by centuries old walls, the small town of Perugia boasts some of the most gorgeous landscapes and historical architecture. Perched atop a series of mountains in the Apennine range, San Marino, one of the world's oldest republics, seems a century away from the Adriatic Coast.